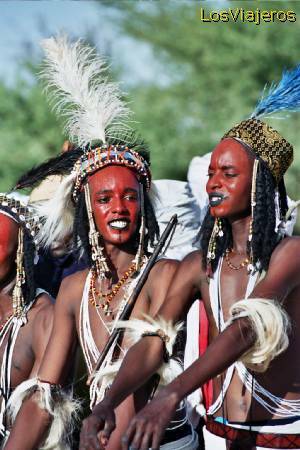 Bororo Tribe or Woodabe -Niger: The Wodaabe (or Bororo) are a subgroup of the Fulani (Fula or Peul) ethnic group. The Wodaabe are traditionally nomadic cattle-herders and traders, with migrations stretching from southern Niger, through northern Nigeria, northeastern Cameroon, and the western region of the Central African Republic. Fiesta Guerouel o Gereewol - Tribu Bororo - Niger Gereewol celebration or party - Bororo Tribe -Niger "Index"